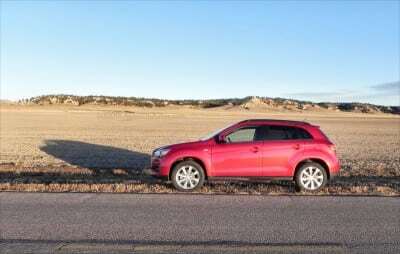 The 2013 Mitsubishi Outlander Sport is a big upgrade from its 2012 predecessor, repairing many of the problems that kept it from achieving higher sales in North America. With a sporty ride, good ergonomics, and a strong price point for the offering, it’s a contender. It also showcases the evolution the Outlander has made towards its beautiful 2014 model. 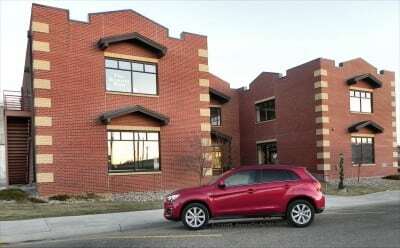 The 2013 Outlander Sport is a good vehicle when taken as a whole. It is not likely the best small SUV on the market, but most people who buy one will be happy with their choice. The 2012 model suffered from cheap interior plastics, bad ergonomics, and questionable handling. But it had a good powertrain base, a strong price point, and decent styling for the time. 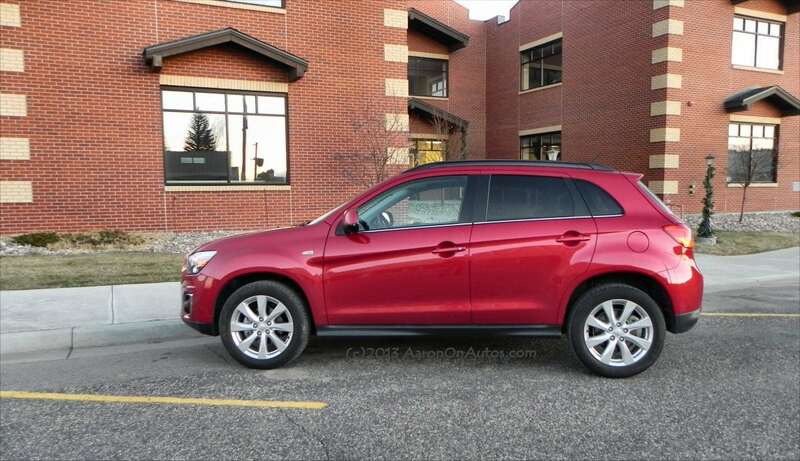 For 2013, the Outlander Sport has seen updates to include great styling, much-improved ergonomics, and a more upscale interior. Sadly, the powertrain may have been changed too soon. Going under the covers, we find a 2.0-liter dual overhead cam (DOHC) MIVEC engine – the same aluminum powerplant that drives the current 2014 model, pulled straight out of the Lancer’s upper crust. It’s a great engine that has a good track record for longevity and output as well as economy. If there’s one thing Mitsubishi knows how to do really well, it’s building great engines. Sadly, that engine is coupled to an under-rated continuously variable transmission (CVT), ruining its potential. 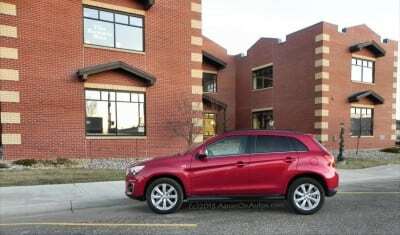 The CVT in the Outlander Sport has a definite feeling of inferiority. It produces ugly whining noises, very little get-up-and-go, and may be restricting the vehicle’s overall efficiency ratings. Mitsu probably would have been better served had they waited another year for further development on this CVT before introducing it to the market. Even at that, though, the 2013 Mitsubishi Outlander Sport has an EPA rated 29 mpg on the highway and our testing showed that, once the tires were inflated to proper psi (they were low when it arrived for our loan), that number is generally achievable, though 27 is closer to realistic. 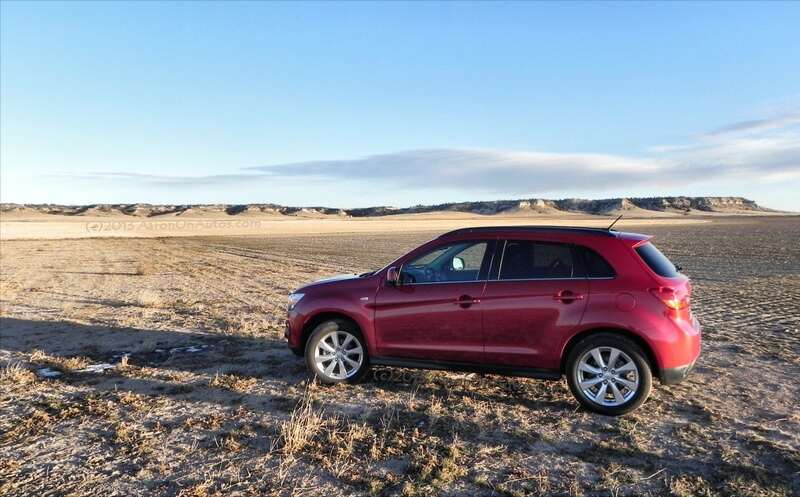 For comparison, our current test drive is a 2013 Toyota RAV4, a direct competitor with the same EPA rating for highway and it also averages about 27, so this isn’t a mark against the Outlander. “Sport” is also relative, with Mitsubishi using it mainly to refer to the Outlander Sport’s smaller size and stiffer suspension compared to its larger Outlander brother with its three rows and longer wheelbase. The 0-60 time in the 2013 Outlander Sport is a paltry 12+ seconds. No one’s definition of “sporty” takes that long. One of the high points of the 2013 Outlander Sport is its refreshed styling, which can be seen as a step towards the great look the 2014 holds. This is not to disparage the 2013’s look, however, which on its own is still very striking and a real standout in the market. Although the basic shape is contemporary with the segment, the Outlander Sport has great styling points. The grille and hood are its most striking, with a great clipped front that only Mitsubishi could pull off with its combination of a flat, muscular appearance and a hint of sophisticated curve. The roofline is relatively flat, with just a small down curve at the rear for aerodynamics, but appears to be more cut than it is thanks to a rising belt line across the front and back doors. That belt line is accentuated by a sweeping cut along the upper door that feeds through the handles to a point just about center above the rear tire fender. Wide openings for the wheels add some muscle to the otherwise refined Euro styling while the rear ends in a belly curve common for the segment to lower aero drag and improve cargo space. 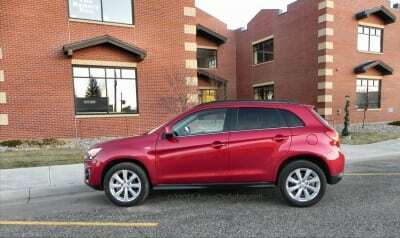 Overall, it’s a very good look and one of the high points of the 2013 Mitsubishi Outlander Sport. 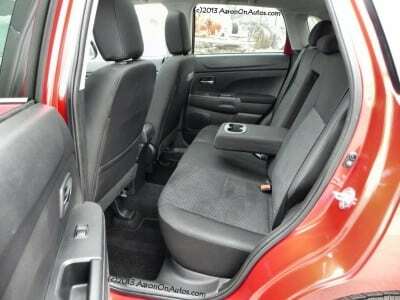 Inside, the 2013 Outlander Sport improves itself to become more contemporary – something the Outlander needed badly. Although the plastics for the dashboard have been softened, they still appear somewhat cheap, but not so much so that the impression is of low quality – this impression improves in non-black interior options. The interior layout is far better and seating remains very comfortable. In our cloth-trimmed test ride, the 2013 Outlander Sport showed that even without leather, seating can be easy to clean and hold a simple, honest feel. Legroom and headroom are good throughout and shoulder room is cramped only if three adults are packed into the back seat. 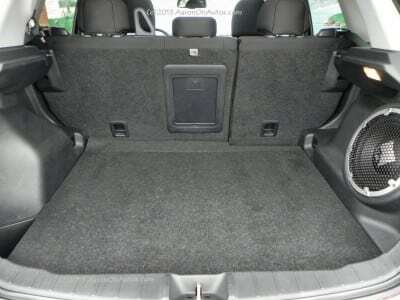 The cargo space is far more cavernous than it appears. 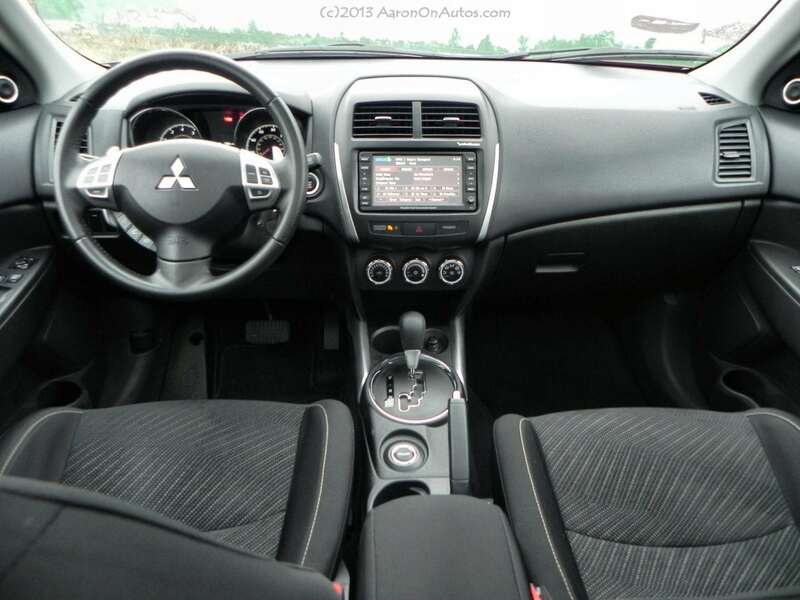 The large touch-screen on this package is well-placed and Mitsubishi has nailed the user interface in a way that only perhaps Mazda or Nissan can rival. Controls for climate, cruise, and hands-free phone are all nicely-placed and easy to understand. The large, prominent “4WD” button for the selectable AWD system is a bit out of place, but not horribly so. Outside of the CVT noise mentioned above and the slow get-up-and-go feel when starting from zero, the 2013 Mitsubishi Outlander Sport has a good road presence. It feels solid, handles well in snow and light offroad, and is comfortable on the highway while remaining at least somewhat sporty in town. Most drivers will enjoy the drive. Comfort levels can be bested by some of the competition on the road, but most of those will be higher-priced and verging on the luxury segment. It’s not as stiff as some but not as cushy as others. 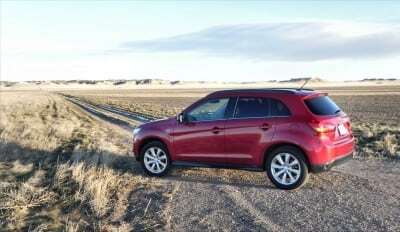 Road noise is very low thanks to some great engineering by Mitsubishi engineers. Handling is great and visibility in the Outlander Sport is high. Even without using the rear backup camera, the driver has a good field of view from all points in comparison to many others in the segment, whose low roofs and resulting stinted windows tend to cut visibility dramatically. Key competition for the 2013 Mitsubishi Outlander Sport is the Toyota RAV4 (we will have a head-to-head comparison soon), the Ford Escape, and the Kia Sportage. There are several others as well, as the small SUV segment is highly contentious, but the Escape, Sportage and RAV4 make up key market points for comparison. 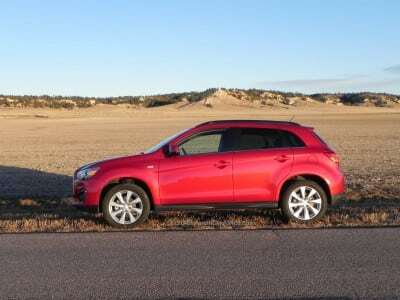 The Outlander Sport is not as stiff as the RAV4 and not as cushioned as the Sportage on the road. Visibility for the driver is rivaled by the Escape, but otherwise surpasses the Kia and Toyota offerings. Price point is on par with the segment average, but beats many of these key competitors when fit and trim are included. Fuel economy is key here and the 2013 Outlander Sport has best-in-class at 26 mpg average off the shelf (without any upgrades like EcoBoost, hybrid drive). The warranty on the Outlander is also worth mentioning, besting many in the segment at 10 years/100,000 miles on the powertrain along with three other 5+ year warranty inclusions for other points. 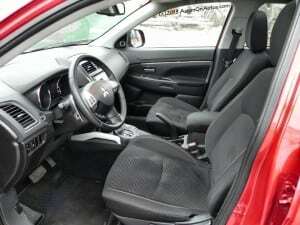 Great upgrade from the previous generation with better styling, improved interior refinement, and higher fuel economy. A great package all around with excellent cost:benefit for the buyer in terms of what you get for the money spent. Lackluster performance which belies the “Sport” name. At least you won’t get speeding tickets often. Rattlebox of a CVT with horrible sound output. Easily the most distracting thing on the Outlander Sport and by far its greatest detractor. 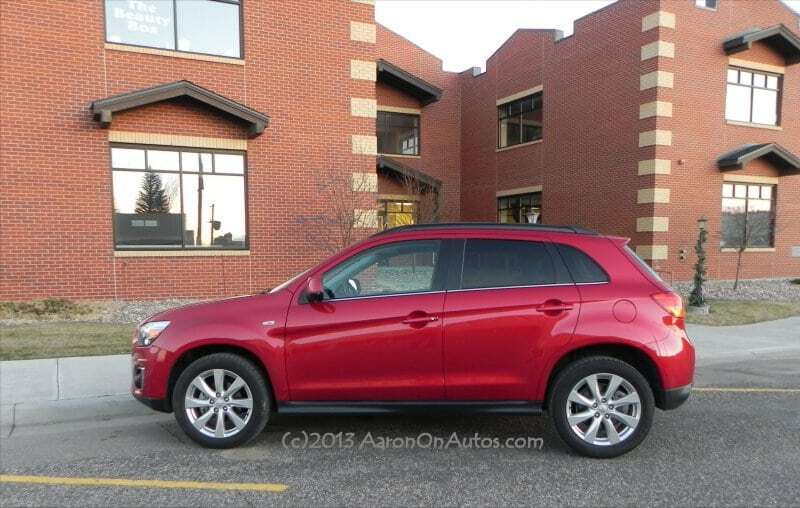 Overall, the 2013 Mitsubishi Outlander Sport is an excellent choice for those in this segment who want something a little different, but not outlandish. For the cost-conscious, there may be better choices, but few of those will offer the “total package” that the Outlander Sport does. The 2013 Outlander Sport was a manufacturer’s press loan, driven for about a week and a total of 368 miles. Various driving situations and conditions were had during that time, including inclement weather (including snow), some light offroad, and city/highway/freeway mixed driving. 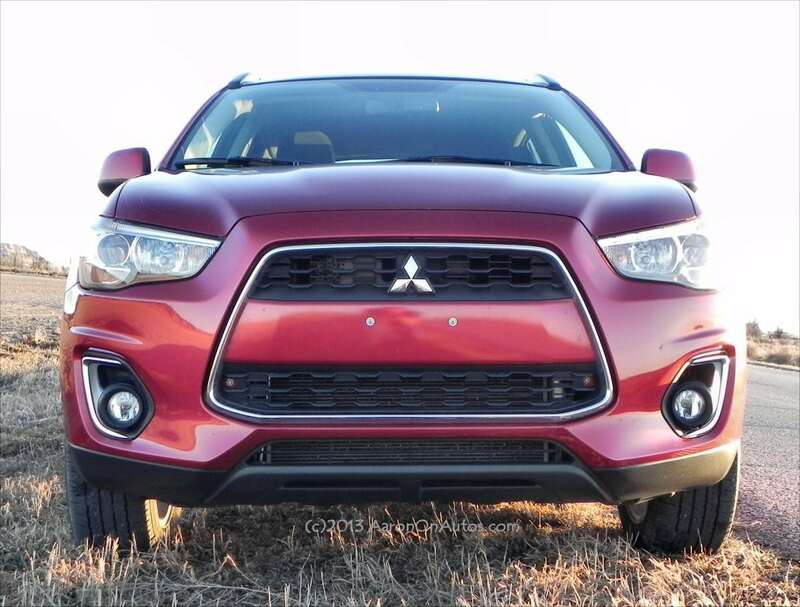 Even though this review is for the 2013 Mitsubishi Outlander we highly recommend you read our head-to-head comparison of the 2014 Mitsubishi Outlander vs 2014 Subaru Forester. This should give people looking at the Outlander and Forester a better idea of the differences between the two SUVs.